Seoul cafes: 11-11 is Pepero day!! Today is 11-11! it's Pepero day! It's a day when you give Pepero to friends/colleagues/loved ones. 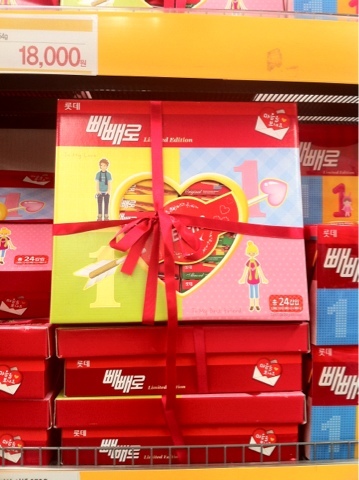 The reason why 11-11 is Pepero day is quite simple... It's because all the 1s(1111) stands for pepero sticks! Students love this day. They can exchange Peperos with friends and gift them to their teachers and even their crushes~ It's like a semi Valentines day.